NOOOOO!!!! IT’S NOT A MAN IN A DRAGON SUIT!!!!!!!! How dare you!! He is a Magic Dragon. 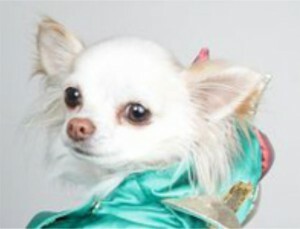 An actual real live Magic Dragon who, together with the World’s First Magic Performing Chihuahua (Mr. Piffles) has taken the world of magic by storm!!! STORM, I SAY!!! If you’ve seen Piff The Magic Dragon (yes, you’ve heard of his older brother, Steve…) on Penn & Teller’s TV show ‘Fool Us’, you’ll know how truly remarkable (and magic) Piff actually is. Of course, so is Mr. Piffles. He’s pretty amazing too, and Piff wouldn’t be where he is today without Mr. Piffles agreeing to work with him…. (my Yorkshire Terrier, Jake, made me write that bit). You’ll have noticed how each suit has been completely redesigned from scratch. The traditional Spades are now ‘Flames’ (oooohh!) the traditional Clubs are now ‘Paws’ (aaaaahh!) the traditional Hearts are now ‘Flowers’ (whaaaaa…?) This is because, according to Piff, women are only interested in material things and not love or any of that nonsense there. Obviously. Then we have the Diamonds. Which are only partly redesigned from scratch. Heck, they have a yellow border, what more do you want?? The back of the cards represent Piff’s dream home. A castle. Called PiffLand. (Personally, I’d have gone with ‘Dun Piffing’, but hey, it’s not my deck…) You see, Dragons traditionally live in caves. These can be cold and damp and although sleeping on piles of treasure is what they’re ‘supposed’ to do, it’s not at all orthopedically sound and it therefore leads to bad posture. A castle, however, would have four poster beds with memory foam mattresses, and would have fair maidens tending to Piff’s every whim with Knights protecting the perimeters on their silver steeds leaving Piff to, in turn, tend to the princesses. Or at least, that’s how it would hopefully pan out, since – for the time being at any rate – Piff doesn’t live in a castle but the aforementioned cave. Editor’s note – You will notice how there are no helipads. This is because Piff is actually quite a modest Dragon and isn’t into material wealth and such forth. Plus, he can fly. Because he’s a dragon. So he is. The Gaff Cards are quite ingenious. 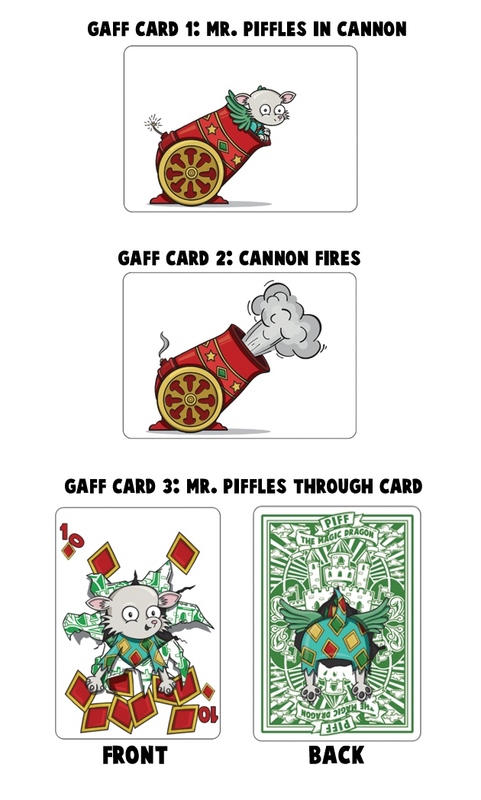 There are three cards which, in sequence, ‘appear’ to show Mr. Piffles being shot out of a cannon through the back of another playing card. 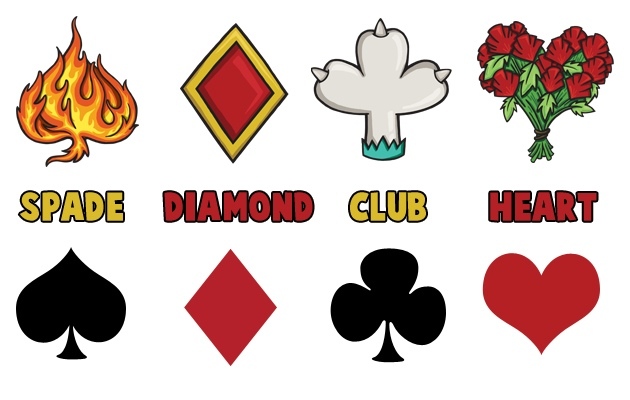 To put your mind at ease, please note that Mr. Piffles has a smile on his face in the 10 of Diamonds, therefore reinforcing the fact that he was not hurt during the sketching process. As if all this so far isn’t more than enough….!! There is also a die-cut (that’s ‘die-cut’) extra playing card that turns the every day ordinary boring tuck box into a…..
Piff The Magic Dragon has a ‘Pifftacular’ which he brings onstage with him. But. For you, in the comfort of your own home bar / man cave / den / sitting room (you know who you are..!) you can enjoy the benefits of everything that Piff enjoys at a small little tiny wee fraction of the size. And what a joy. Did I mention that it’s die-cut? I have no reasons why you wouldn’t want to buy this deck. Let’s recap. It’s designed (kinda) by a Magic Dragon. It features the World’s First Magic Performing Chihuahua (Mr. Piffles) There are Princesses and Castles and Canon-fired pooches – why wouldn’t you want this in your collection??? What? You don’t have a collection? Well, start one!! With this deck!!! 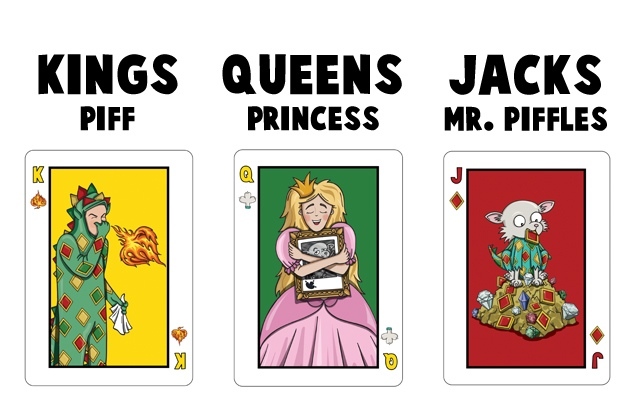 Piff The Magic Dragon Playing Cards are being funded on Kickstarter right now, as we speak. There are 4 1days to go at this point (6th July 2015) and it’s already 1/4 way funded. These cards will be produced by The Expert Playing Card Company so we know quality feel and handling is guaranteed. That’s right I said “will be”. Not “could be” or “should be” or “if all goes well maybe might be”. I said “will be”. Because if this deck doesn’t reach it’s funding target I will actually eat my own feet. If you aren’t aware of who exactly Piff The Magic Dragon and Mr. Piffles are, then have a quick jook at this video. If, after that, you aren’t bamboozled by the abundance of talent and sheer charisma…. then… well…. quite frankly, I can’t help you…. adieu….. This entry was posted in Playing Card Reviews on 6 July, 2015 by Jyl. Haha what a wonderful post, I really enjoyed reading this. I must admit that i really like your site. Your nieche is great which locks me to screen. I’m a design addict and cards are all about it. It’s really creative for Piff The Dragon to try something out like this. Quite logical and FUN of course. I really liked the comic-kinda design of the set. Especially the dragon nad the princess. 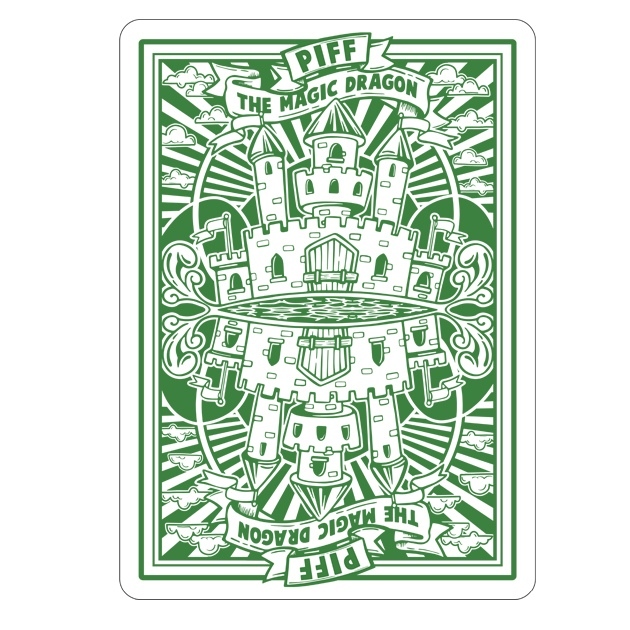 Since Piff has come out with his own customized deck of playing cards, which I found the cards with Mr. Piffles being shot out of a cannon quite entertaining, Are these cards looking to considered a “Novelty” item? How popular have these cards become since they have been introduced? Thank you for your comment Dave. Piff the Magic Dragon is not a novelty act I can assure you…. He is Steve’s younger brother, and he is actually quite talented in his own right, as well as funny. Mr Piffles is actually the brains of the operation. Keep an eye out – he’ll be ‘the man’ someday and Piff will merely follow in his wake…. As for how popular his cards are… well… you can’t get them on ebay right now (July 2016) so I reckon people are hanging onto them… making them desirable… and rare…. so if you come across a deck for sale – BUY THEM!!! The information on your site is interesting and it seems like you are really passionate about your niche. I think the layout is lovely too because on the mobile platform everything shows up pretty well and organized. I think you are doing a lovely job with the website and I wish you the best of luck with everything you do! 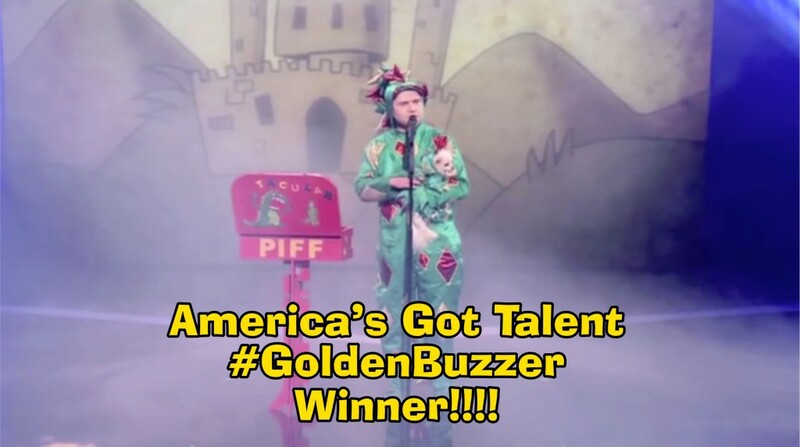 I have been a fan of Piff this season on America’s Got Talent. Pretty neat that he already has shows around the world and is not even a finalist yet. But I know he will be. I know the kids would like his cards. Thanks for the good read. I will be checking back later to get in on the kickstarter, to make sure I get a pack. Hello Jyl, I believe the idea of Piff the dragon on playing cards is a fabulous one. Seeing the fame he has risen to is well deserved. He just is riding on the wave. I do like how the cards tried to move away from the traditional designs to create a different aura. Starting such a project on kickstarter is wise, if it fails, he really never lost anything. Hey there. Believe it or not I was doing research on a card game called Magic the Gathering, and ran across your article. I gave it a read and just wow’ed at myself. I’ve never heard of Piff the Magic Dragon, but after reading it did peek my interest. I have to admit, it’s a great idea and I hope his playing cards take off. They seem pretty cool. Love Piff! This guy is a complete HOOT! (Mr. Piffles is a little odd himself!) I would have never guessed they would be coming out with their very own deck of playing cards! LoL! That was an incredibly fun write-up on the event. Couldn’t possibly give you enough credit for making this such an entertaining post. I’m sure your readers won’t be able to stop themselves from contributing to the cause. I suspect you’ll have a big impact on the success of his new deck! Fantastic job! LoL, You can’t help but smile when you see Piff the Magic Dragon and Mr. Piffles. I’ve played some cards, but I never thought about collecting them. I didn’t realize there were so many different deck out there. I’ve always just seen the average ones. I might have to look into some of these. I love Mr. Piffles as the Joker! He’s sooo cute! I must admit I’m not much of a card player myself, But I nevertheless find it fascinating to learn that such a subject has so many followers. We live in a fascinating world and I learn something new every day. So majestic, so furry, jet such an incredible dangerous mystic dragon, and you just carry him on, like, like, a dog! I would like to meet Mr. Piffles but I fear he could eat me. Besides, you are a fiery dragon too, with mighty green-violet scales. Who ever wondered a couple of dragons could make such a beautiful set of cards. You are almost at half of your goal at Kickstarter and you still have 40 days. Nice campaign. I will be pending if you develop more merchandising, I don’t know, maybe a realistic full size monstrous stuffed Mr. Piffles doll. Well I must admit I reviewed your latest post and am quite impressed….albeit,, I’m not quite certain what the hell I just read….lol. I Might suggest that you place the video at the very beginning of the post as this will provide a bit more interest to read more. You should anticipate a surge in traffic as this is now an act appearing on America’s Got Talent. Well done! Haha, I can remember that episode of Fool Us when Piff the Magic Dragon performed. He was very entertaining and funny, and he certainly had me fooled. Unfortunately, he didn’t fool Penn & Teller, which is a great shame because it would have been great if he could have gone to Las Vegas with them. I haven’t see Piff since then. I hope he’s doing okay. Have you see him on anything else? That is really cute! I’m sure if my daughter watched Piff she would really love the playing cards and all the rest of the merchandise! She is crazy about castles so the back of the cards would be a winner with her already. The club card with the doggy paw honestly had me giggling out loud. What a great idea and lots of fun. and entertaining. I’ve never heard of piff the magic dragon or Mr Piffles, but I love Penn And Teller. I think the club is cool with the paw. And the jack as Mr Piffles. Is there any money in collecting these cards? Do alot of people collect them? Do these types of things command pretty high prices – they seem very much like pieces of art and almost too good to use in a playing situation? Also, do they have sort of shows covering these types of collectables? I’ve never heard of Piff The Magic Dragon but these cards are absolutely adorable! I’ve been following your blog’s articles over the last few weeks and I’m amazed at the creativity that goes into these cards. Some of the designs and illustrations are wonderful quality – like these you have covered today. Fantastic subject – keep up the good work! Mr, Piffles is super cute!! I have never heard of kickstarter, where you make your donation to help them get this started, is it just kickstarter dot com? The card designs are interesting and I think I will have to check you tube to see some piff the magic dragon clips and check out his show. I’d buy these once they are out, thanks for the cool preview. Piff the Magic Dragon playing cards, who knew! These cards look great. Piff the Magic Dragon and Mr Piffles are really funny. I had never seen them before, but watching the video had me laughing. I love the look of these cards and the back story of them. I hope they get the funding they need. These are going to be great cards. If they are fully funded, do you know when these cards become available?